Ok this method that i created is 100% unique and will punch and ask yourself "Why i didn't think of that!!!" I've twisted my orginal method and used Youtube Google adsense to make $200-600/day instead of linkbucks and adfly. I know you're wondering why am i sharing this to you guys. Well i got plenty of reasons. - I got banned because i copied real ads, so i suggest you create one so you won't get banned. Ok so what are the things you needed. You need to cloak the annotation and fit it on the skip ads box so your visitors wont noticed it, if your visitors successfully clicked the skip ads they will be redirected to your website. 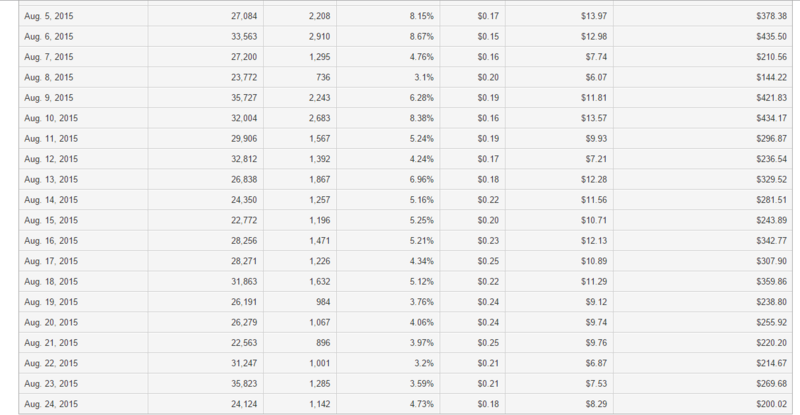 As you can see on the Youtube analytics the Clicks through rate is 99%!!! ohh btw here's the screenshot of my adsense when it is not yet banned. This is my earnings last Aug, these are the only screenshot i've managed to saved. There you go! I hope you've understand my method and help you make money like i do! If you're unclear with something feel free to ask me here. This is very good method. Good job mate, but I am sure now everybody will try this and probably will get patched somehow. (2016-06-16, 09:47 PM)Nem Wrote: This is very good method. Good job mate, but I am sure now everybody will try this and probably will get patched somehow. Lol! the question is, what will be patched by youtube? The annotation or the overlay ads? Good way to get a Youtube Account banned quickly. But sure it works well until that happens. Especially now that it is public. Also you will get your Adsense account burned quickly with CTR's that high. But if you want some easy sort term money. Yup bet this works like a charm. This is just brilliant man. did you get your money after all you earning that huge amount. (2016-06-16, 11:41 PM)Egarrage Wrote: Good way to get a Youtube Account banned quickly. But sure it works well until that happens. Especially now that it is public. Also you will get your Adsense account burned quickly with CTR's that high. But if you want some easy sort term money. Yup bet this works like a charm. Not quickly to be honest coz my accounts lived for 6-8 months before they got banned. (2016-06-17, 01:43 AM)lbs2016 Wrote: This is just brilliant man. (2016-06-17, 07:28 AM)playfreakz Wrote: did you get your money after all you earning that huge amount. Yep! got paid for 6-8 months before my account got banned 3/5 to be exact.